Take a look at this 1973 Mercedes-Benz S-Class AMG 300 SEL 6.8 “Red Pig” Tribute Car here on eBay with a buy-it-now of $59,000 located in California. 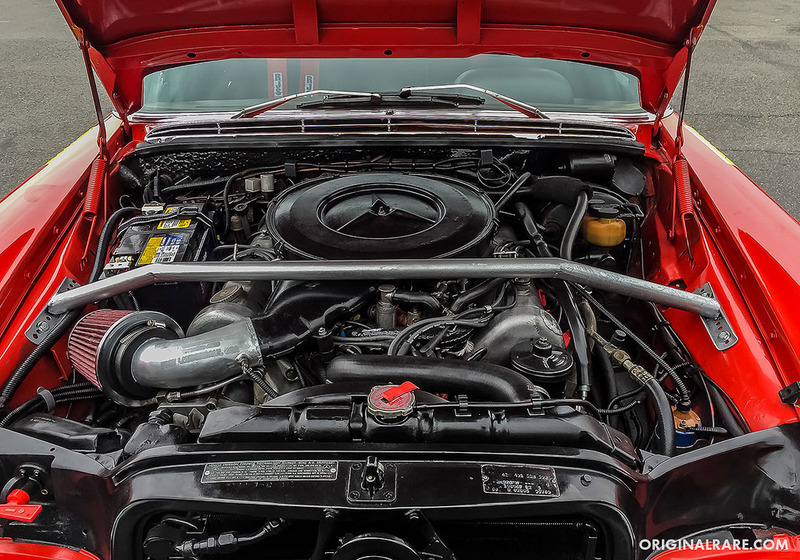 AMG HISTORY AMG today is known as the performance division of Mercedes-Benz, who creates some of the best driver’s vehicles in the world. What many people don’t know is the story behind AMG and how a two-man operation turned into a global brand. The letters “AMG” stand for Aufrecht, Melcher and Großaspach (Aufrecht’s birth town). Hans-Werner Aufrecht and Erhard Melcher were two engineers working on the 300 SE racing engine for Mercedes in the 1960’s until the company discontinued all motorsport activities. Aufrecht and Melcher were undeterred and continued to perfect the performance of the engine in their spare time. In 1965, Manfred Schiek, a co-worker at Mercedes, won the German Touring Car Championship 10 times with the 300 SE engine that Aufrecht and Melcher developed. For Aufrecht, the motorsport reputation was not enough and he aspired to offer the same racing performance to road vehicles. In 1967, Aufrecht left Mercedes and persuaded Melcher to join him and start AMG. They began tuning engines out of an old former mill in Burgstall and their reputation quickly grew amongst private racing teams. 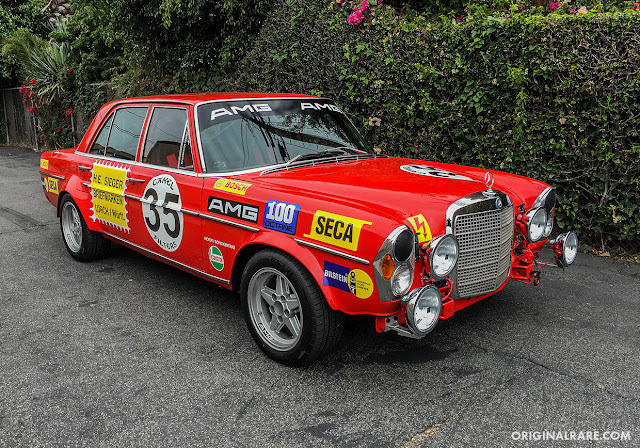 AMG’s first success in racing as a company was in 1971 at the 24 Hours of Spa. 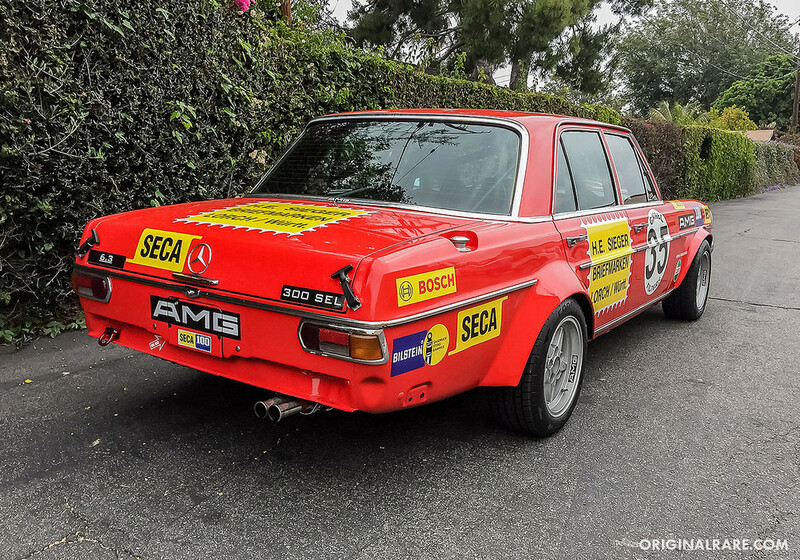 The AMG Mercedes 300 SEL 6.8 was the champion in its class and won second place overall. AMG’s heavy luxury sedan, nicknamed the “Red Pig”, was faster and outpaced the competing lighter race cars. 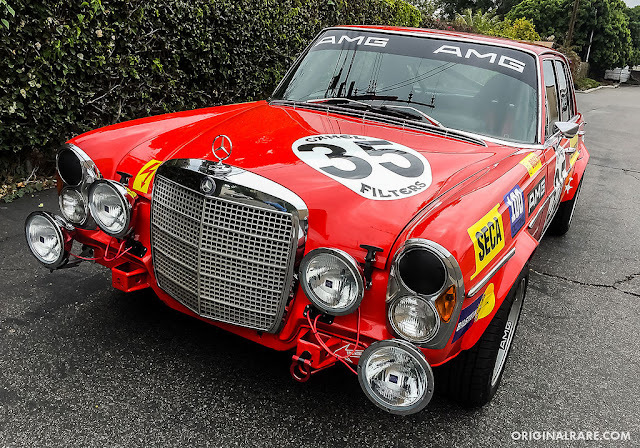 This historical racing event spread the AMG name throughout the world. The car being offered started out as a 1973 Mercedes-Benz 280SE and was completely transformed from top to bottom to pay tribute to the AMG 300 SEL 6.8 “Red Pig”. The wide body fenders are all metal with countless hours of fabrication labor. Lots of attention to detail went into building this car to resemble as close as possible to the original. This car has current United States title and has been recently serviced/safety inspected. Yes sir this might be a nice first car for my daughter, right? With the M117 engine, instead of the M100 from the 6.3/6.9, the "buy it now" is about $10-15k of car (if that) and $45-49k of paint and whatever that thing is in the radio slot. I love this series MB. Might as well lodge the complaint about the automatic. 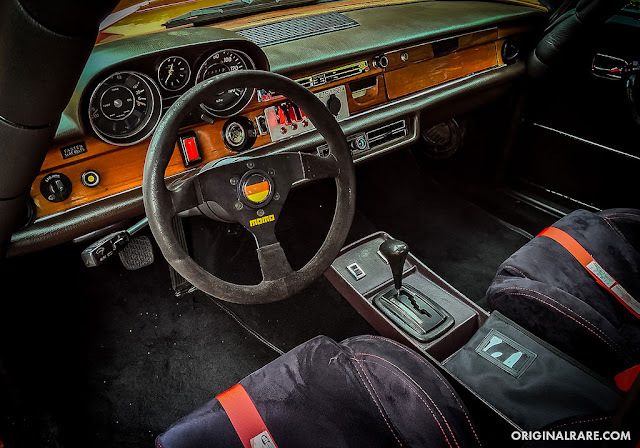 MB's automatics were not among the most stellar boxes in the day, and the manuals were also pretty uninspiring for any sporty pretenses. The 4's on the trees in my fleet of 220S Fintails and still sublime Fintailess Coupes. Sometimes I torture myself and read Craigslist for Seattle, Portland and the Bay Area. There are so many MB sedans, mostly rust free, from 61-70 at prices that would buy 2 Datsun 510's or a couple of 122's, for example.